They might as well have burned a cross on Dr. King’s grave. The Jim Crow majority on the Supreme Court just took away the vote of millions of Hispanic and African–American voters by wiping away Section 4 of the Voting Rights Act of 1965. I’m so angry, so distraught by this, that I’ve asked my foundation to release my film, Election Files, for free. This is a no-BS, no charge download of my series of investigative reports for BBC Television and Rolling Stone. 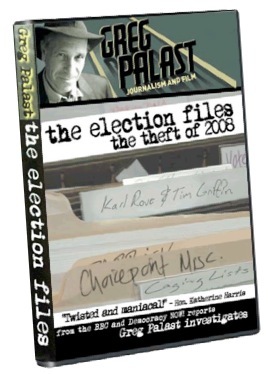 Furthermore, I’m directing the Palast Investigative Team to drop all other work for a ‘round-the-clock investigation of the Theft of 2014 and 2016 elections that the Supreme Court’s ruling sets in motion. Help us, join us. When I say “millions” of voters of color will lose their ballots, I’m not kidding. Let’s add it up. Last year, the GOP Secretary of State of Florida Ken Detzner tried to purge 180,000 Americans, mostly Hispanic Democrats, from the voter rolls. He was attempting to break Katherine Harris’ record. But Section 4 of the Voting Rights Act requires that 16 states with a bad history of blocking Black and Brown voters must “pre-clear” with the US Justice Department any messing around with voter rolls or voting rules. And so Section 4 stopped Detzner from the racist Brown-out. 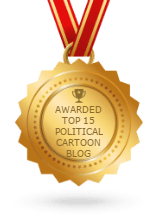 I’ll admit there were illegal aliens on Florida’s voter rolls – two of them. Let me repeat that: TWO aliens–One a US Marine serving in Iraq (not yet a citizen); the other an Austrian who registered as a Republican. Whom do they think they’re fooling? The Court itself, just last week, ruled that Arizona’s law requiring the showing of citizenship papers was an unconstitutional attack on Hispanic voters. Well, Arizona’s a Section 4 state. “Eradicated?” I assume they didn’t see the lines of Black folk in Florida last November. That was the result of the deliberate reducing of the number of polling places and early voting hours in minority areas. Indeed, if the Justice Department, wielding Section 4, hadn’t blocked Florida from half its ballot-box trickery, Obama would have lost that state’s electoral votes. And that’s really what’s going on here: The problem is not that the Court majority is racist. They’re worse: they’re Republicans. We’ve had Republicans, like the great Earl Warren, who put on the robes and take off their party buttons. But this crew, beginning with Bush v. Gore, is viciously partisan. They note that, “minority candidates hold office at unprecedented levels.” And the Republican Supremes mean to put an end to that. See “Obama” and “Florida” above. Because that’s the difference between 1965 and today. When the law was first enacted, based on the personal pleas of Martin Luther King, African-Americans were blocked by politicians who did not like the color of their skin. But today, it’s the color of the ballot of minorities – overwhelmingly Democratic Blue—which is the issue. Pre-clearance goes WAY north of the Confederacy to Alaska where Alaska’s Natives are often frozen out of the voting system–and West to California. In the Golden State, an astonishing 40% of voter registration forms were rejected by the Republican Secretary of State on cockamamie clerical grounds. When civil rights attorney Robert F. Kennedy and I investigated, we learned that the reject pile was overwhelmingly Chicano and Asian—and overwhelmingly Democratic. How? Jim Crown ain’t gone, he’s moved into cyberspace. The new trick is lynching by laptop: removing voters, as was done in Florida and Arizona (and a dozen other states), by using poisoned databases to pick out “illegal” and “felon” and “inactive” voters—who all happen to be of the Hispanic or African-American persuasion. The GOP, for all the tears of its consultants, knows it can’t rock these votes, so they block these votes. And the Court knew full well that their ruling today was the same as stuffing several hundred thousand GOP Red votes into the ballot boxes for the 2014 Congressional races. 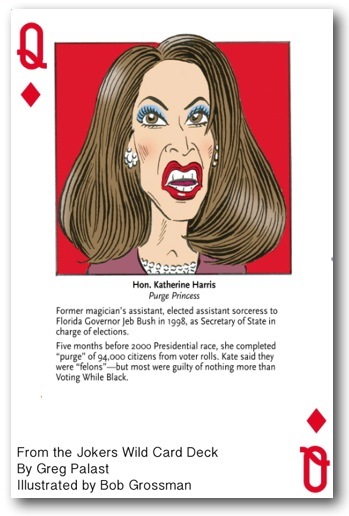 The Republican court knows that to swipe 2016, they had to replace the Voting Rights Act with a revival of the Katherine Harris act.